WPE Process Equipment as Eriez Magnetics' representatives within Western Australia (WA) offers a range of Laboratory Equipment. Mining, recycling, food, chemical, agricultural and metallurgical industries. Eriez model L8 Wet Drum Magnetic Separator is used for ore concentration and heavy media recovery. The L8 Wet Drum Magnetic Separator drum is 305mm dia. x 190mm wide and is a laboratory scale LIMS suitable for batch test work and small pilot plants. The L8 can be manufactured as an electromagnet or a permanent magnet depending on specific needs. The electromagnet L8 has the benefit of adjustable field intensity through a variable voltage controller to achieve optimum metallurgical results. • Universal stainless steel tank for concurrent and counter-rotation operation with one plexiglass side for observation. • Eriez Model LWD control box incorporating a variable DC power supply with ammeter, voltmeter and drum motor starter reversing switch for operation from 240V AC. Eriez’ Model EDT Davis Tube Tester is essential for any mineral processing laboratory. The EDT is used to determine the ferromagnetic and non-magnetic fractions of small samples. The EDT can also be used as a control device in operating plants to determine the quality of the concentrate and tails. The EDT includes variable voltage control which allows adjustment of the magnetic field intensity with a maximum of 4000 gauss in the centre of the gap (between electromagnetic coils) allowing greater metallurgical control. 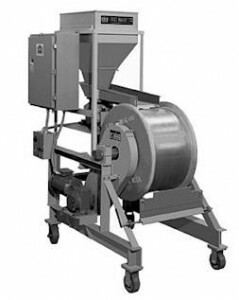 Eriez Rare Earth Dry Drum Magnetic Separators work on the basic principal of a stainless steel drum rotating around shaft mounted permanent magnetic elements. 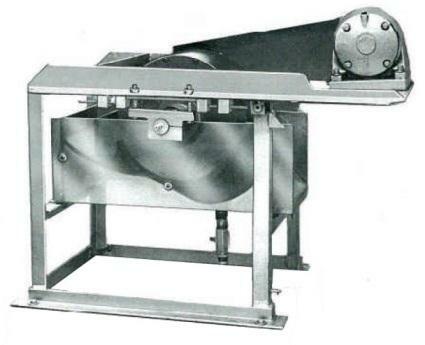 Material is fed to the drum via an Eriez Electromagnetic Vibratory Feeder. 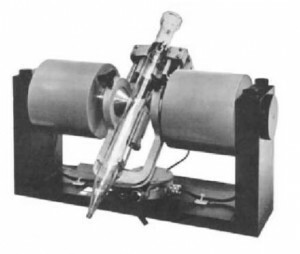 The magnetic field attracts and holds ferrous particles to the drum shell whilst non-magnetic particles discharge assisted by the centrifugal force of the revolving drum. The remaining magnetic fraction is held to the drum surface until they are carried out of the magnetic field at which time they discharge to the magnetic fraction. Eriez Dry Drum Separators can be manufactured with a field intensity to suit particular requirements with a maximum of 6000 to 7000 gauss (nominal) on the surface.